It’s a fair enough argument when someone brings up the virtues of Texas country to include caveats about how in a general sense, the subgenre or “scene” if you will is more apt to shave off the edges of what would be considered traditional country to appeal to a wider audience. There’s exceptions of course such as Jason Boland and others, but that’s the Texas country niche—be more country and quality than the mainstream, but do it in a cunning way where it still finds a wide ear. Texas country is a better alternative to Nashville, though it may still leave some traditionalists or folks in the Americana crowd a little wanting. Not your run-of-the-mill country protest song, “Standards” makes use of sharp wit and country stylings to land a poignant and cutting point about the plight many musicians face when they interface with the music industry. Though protest songs droning on and on about how Nashville is no longer country are just as clichÃ© as the songs they’re criticizing, “Standards” has an appeal beyond being a salve for the country music broken hearted. Making use of the double entendre with diabolical results, “Standards” get you smiling, even if some younger listeners need some coaching about what a “standard” song in music actually is (a song that goes on to be played for years and years, just in case you’re wondering). Most importantly, the song doesn’t come across spiteful, but a fun rumpus that only independent country artists with strong support of their fans in Texas and beyond can make with a smile on their face. They get their point across and have a good time doing it, which is the underlying spirit of the Hold My Beer concept. 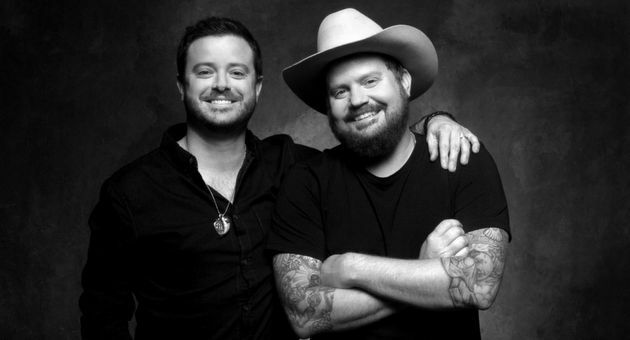 This Wade Bowen/Randy Rogers collaboration is quickly going from a cute side project for core fans to one of the most anticipated true country releases of 2015. Great song and video, it makes me want to go down to Texas and two step the night away! One of my favorite songs I have heard in awhile! I love the Texas/Red Dirt music scene! Keep up the good work Wade and Randy! My wife and I follow this sub genre very closely. Truth is these guys are killing it. This is probably going to be bigger than either one of their solo releases in recent past. Both of them are genuinely likeable, friendly guys who get it. I’m hopeful it gets as genuine of a push as Aaron Watson’s album did, I think this is gonna be better! Great song by two artists that are right in my wheelhouse. I generally follow the Texas scene more than I follow mainstream Country music from Nashville, so I may be bias, but I am really looking forward to this album. 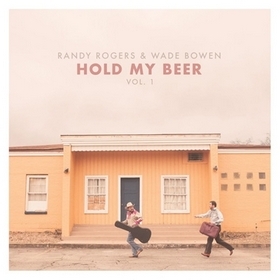 Bowen just put out a very solid album and I actually felt the “Trouble” album by the Randy Rogers Band was their best album in a couple of releases. I know some of their fans may not have liked Jay Joyce’s fingerprints on the album and I can understand that, but aside from the attempts to get mainstream attention a lot of the album cuts were damn good songs like “Speak of The Devil” and “Had To Give That Up”. I am also glad to see these two guys trying a different sound for this album, rather than simply merging their existing sounds. It should give the album a distinct feel from their respective bands/solo work. Just checked out the “Album Covers” section of Jim McGuire’s website. Absolutely incredible. Man, what a body of work. I know it’s off topic, but one of our country stations here in Raleigh, NC is actually playing Mo Pitney. I couldn’t believe it when I heard it. Same here with KRTY (San Jose area in California). I was quite surprised to hear the song “Country” on the radio, and needless to say I loved the sentiments behind it. Is KRTY the one that played “Hold My Hand” after the Grammy Awards? They seem to go rogue occasionally. I was pretty frustrated with KRTY during the height of the bro-country movement, but since the second half of last year their playlist has improved significantly. They also play unknown artists more than any other major country station I know of. The fact that it is a locally owned station rather than part of a national corporate chain definitely increases the musical diversity. I’m a big Texas/Red Dirt guy and Wade has always been one of my favorites. I think him together with RR is perfect. They should’ve been a duo. Gonna be a good day for country music. Whitney Rose releases her second album the same day. I’ve started my countdown months ago. A lyric and rhythmic gem . Makes the point without dissin’ anybody , tells it like it is and man ‘we got your ‘clever’ right here ” . As a writer I’d kill to come across a hook that clever , original , honest and COUNTRY . Nice song! Gets the proud, defiant sentiment out with a lot of beautiful music and very little antagonism. I would agree that this is more country than anything Bowen has released in awhile, but Randy Rogers Band still have some seriously good country all over their releases. I don’t know what genre Bowen fits into, but if “Damn Good Music” was a genre, that’d be it. If We Ever Make it Home is one of the best albums I’ve ever heard. Not until Southeastern had it been topped for recent country/americana albums, in my opinion. I didn’t like the last two or three Randy Rogers albums . Rollercoaster was my favorite and now they don’t sound the same.I have the sense that Wade Bowen can bring back that Randy Rogers i used to love. What a great song, and video. Thanks, Trigger, I’m gonna have to pick this up on the 20th. What a great tune! Texas Country is where it is at in country these days no doubt. Can’t wait to pick up this album when it comes out! Bonus points for using the term “rumpus” in the review. It’s a fun song, if maybe a little too ’90s-country for my tastes… nothing against it, just not really my cup of tea. It’s always good to hear something warm and self-aware either way. Man, this is good stuff. Hell of a way to take a jab at country radio and it’s “megastars”.. time for more country music “fans” to adopt the same standards! Looking forward to your review on the full album! I am pleased with the different sound for both of them. Great pairing – especially if you’ve seen them live. You can see both of their personalities coming through.